While we try to respond to all Submissions, due to the high volume we receive, we are not able to acknowledge receipt of every one individually. If your Submission is of interest, we will be in touch within 3-4 weeks to provide feedback. Your publishing program and/or books will be evaluated by our selection team. If you have not heard from us after 4 weeks, please assume that your Submission has not been successful on this occasion. Our goal is to build mutually profitable partnerships with our publishing clients and retailers over the long-term, via steady-selling titles that fit our distribution program. 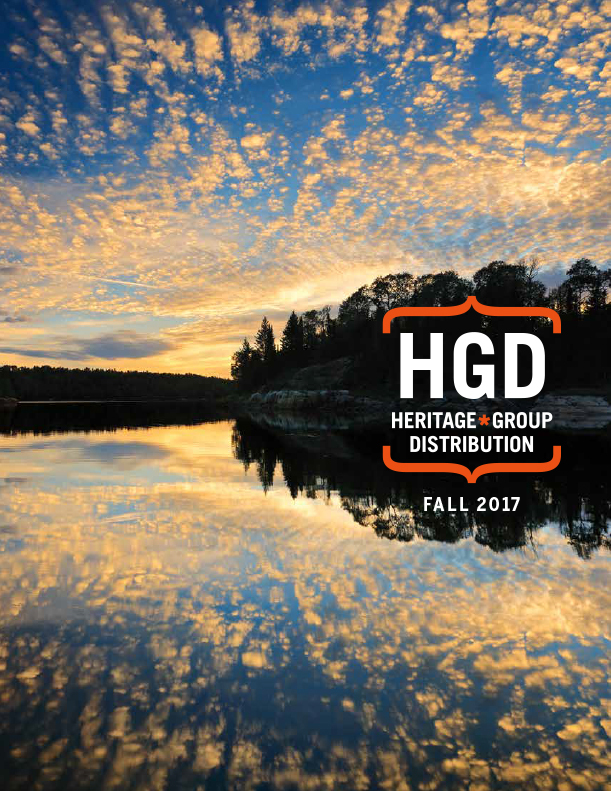 HGD | Heritage Group Distribution provides sales, warehousing, order fulfillment, invoicing and collections, data management, and e-commerce sales and services. We produce 1-2 printed catalogues per year, and attend key trade shows throughout the country. Our in-house sales team submits new titles directly to key chain store and other buyers, and we also work with field sales rep groups who represent our line of products to book and specialty stores throughout Canada. General Non-Fiction titles in the areas of: Lifestyle, Natural History, History, Sports, Travel, Hobbies, Art, Crafts, The Outdoors, Health, Environmental Issues, Business, Politics, Current Affairs, Memoir / Biography / Autobiography. General Fiction dependent on the Marketing Communication, PR and Publicity accompanying and supporting the title. g. How you market & promote your titles? We will need a sample of your book(s). Please note: All products must have ISBN and price on back cover in Bookland/EAN barcode format. A UV-coated cover (not varnish) and perfect binding are also recommended as they enhance the ability re-sell the books received as returns. b. Publication format: hardcover, paperback, board book, etc. Please note: HGD generally will not consider POD (print-on-demand) books for distribution. Also, we are unable to return review copies or any other materials received.